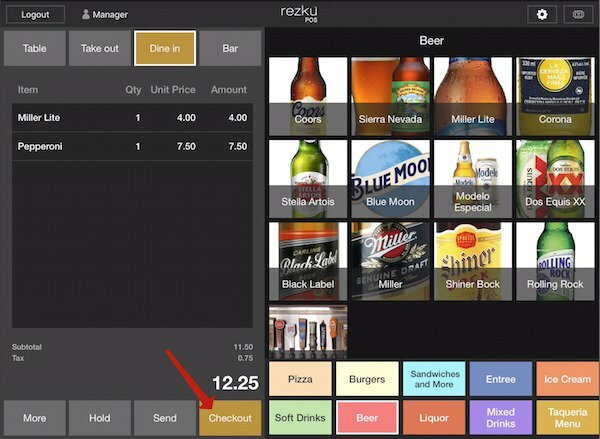 To accommodate a variety of situations, Rezku POS has a number of options regarding guest checkout. From the order screen, tap the Checkout button. Exact Check - When a guest pays by check. Exact Cash - When a guest pays exact change, in cash. 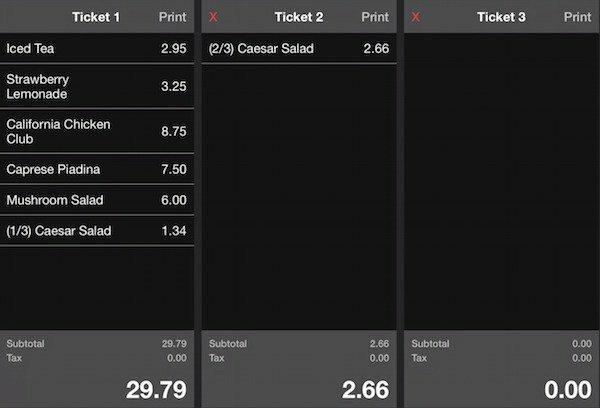 Reprint - Print an itemized receipt. Easy Split - To split checks by total. Itemized Split - To split checks by items. Guests don’t always have exact change. Enter the amount tendered by the customer using the keypad. The Exact Cash button changes to say Cash. ● Tap the Cash button. ● Give your guest their change. ● Tap the gold Complete Transaction button. 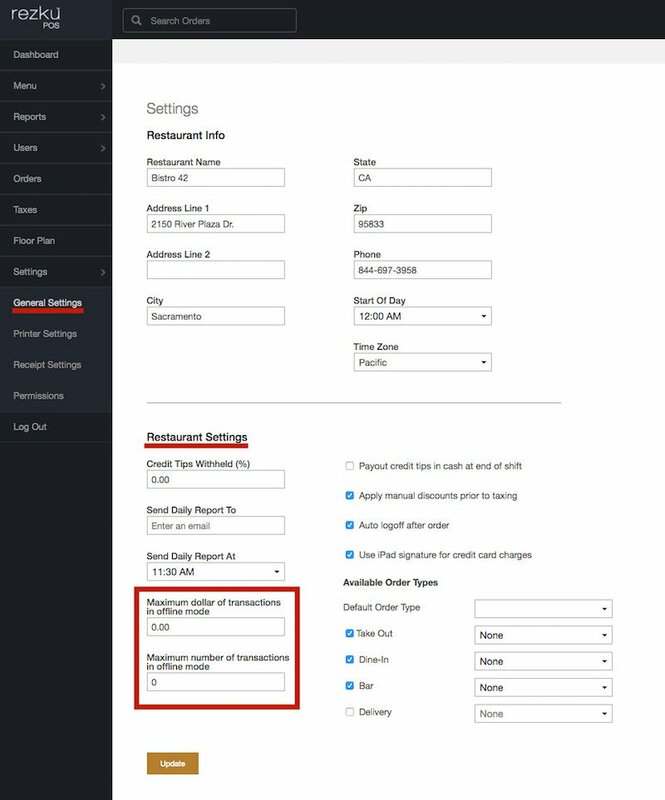 When guests provide Exact Cash or Exact Checks, the transaction ends. Deposit the tender in the cash drawer and tap the Complete Transaction button. Enter your PIN if required to unlock the register to take your next order! 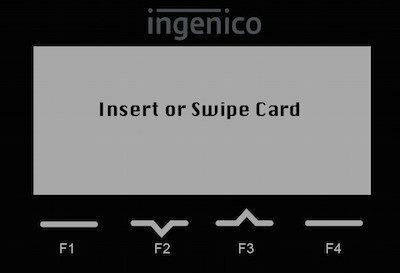 If you have a card reader such as the Ingenico iCMP configured, it will be ready to accept your guest’s credit card payment as soon as you are on the Checkout screen. If the credit card reader has a screen, you’ll see a message similar to this. ● Insert (EMV chip card) or swipe (magnetic strip) the card. When the credit card reader is in use, Rezku POS will show it is Processing. For EMV transactions, continue to follow the prompts on the card reader’s screen. Your guest may be required to enter their PIN number on the card reader. ● Press the Green button on the card reader, after entering PIN. 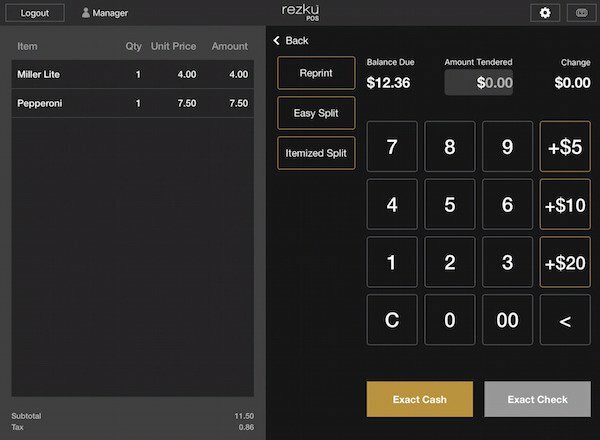 When the transaction is complete, Rezku POS will show the bill amount and prompt for the credit card tip amount. 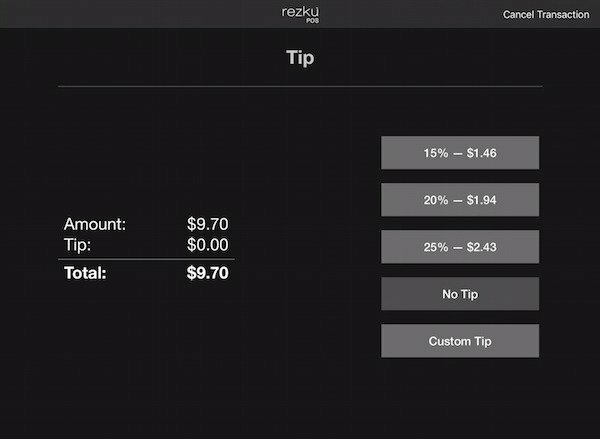 If the guest paid a cash tip, do not enter it here. The amount entered as the tip will be charged to the guest’s credit card! You can also Cancel Transaction by tapping in the top right corner of the screen. 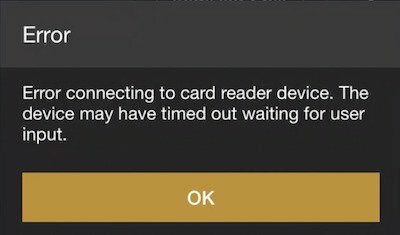 You may see this error message when taking credit cards. Don’t worry, it just means a card was not read within the expected time limit. You may also see this message if a guest takes a while to make payment or if the POS is left on the checkout screen for a prolonged period. ● Just tap OK to close the warning and continue the transaction. In some cases, the internet may be unavailable, but you still want to capture payment information for a guest. When Rezku POS is in offline mode, it’s indicated by a red circle-i at the top of the screen. 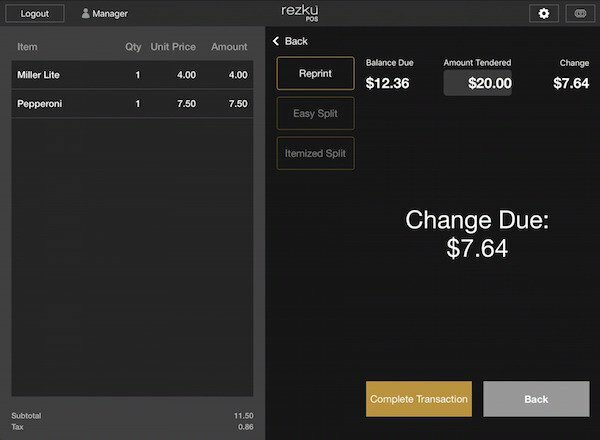 You can still capture payment details for credit cards offline. 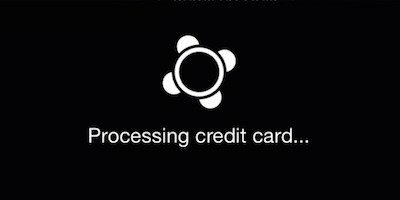 When the network comes back online, the system will send the card data for processing. 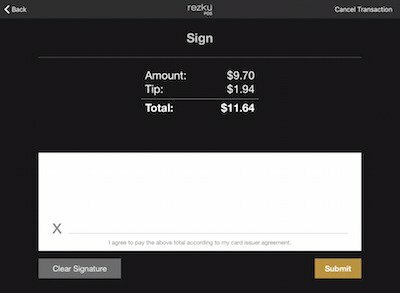 The number and value of transactions that can be processed offline are set in Rezku POS Back Office, in General, under Restaurant Settings. If Sign on Screen is enabled, your guest will authorize payment using the iPad screen. The Sign on Screen option can be changed in Back Office, in General Settings. 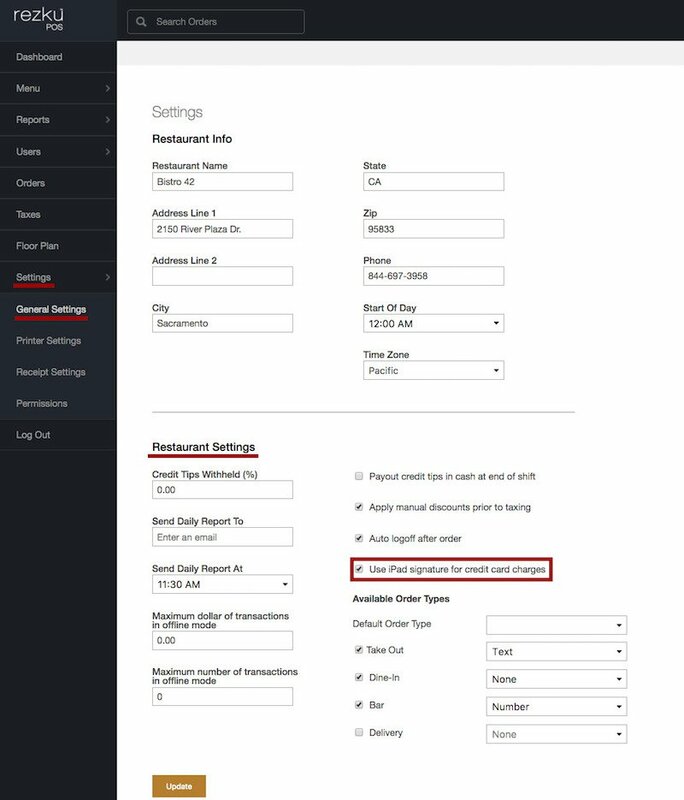 After submitting the signature on screen, the guest has a choice of receipt options. No Receipt - No receipt is provided to the guest. The transaction is still in the Ticket list and can be recalled at any time. Print Receipt - The guest’s receipt will print from the Cash Drawer Printer. Email Receipt - Guest enters their email address, and receives an emailed copy of their receipt.